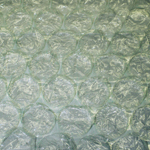 Bubble wrap is used to cushion and protect delicate products during shipping. Bubble wrap can completely wrap a product, fill void space, or create a protective barrier between several products being shipped together. 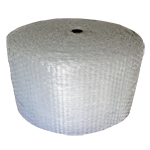 Industrial Bubble Wrap is a heavier duty bubble wrap which can be used to cushion larger/heaver items for shipping.